In the first part of the twentieth century a pair of 300-year-old municipalities that are 2,000 miles apart had a an identical problem. Santa Fe New Mexico (established in 1607 by Spanish Colonists), and Wethersfield, Connecticut ("Ye Most Auncient Towne in Connecticut” founded in 1634 by English settlers from nearby Massachusetts) were each experiencing an identity crisis. In the end, one would choose to become “a city different from other American cities and also a city different from its recent Victorian past” as well as an “exotic tourist destination” – while the other would opt to transition into a residence community “progressively more distinctive and distinguishable from the of the neighboring suburbs. Santa Fe, NM established in 1607, is the second oldest city set up by European colonists in the United States (St. Augustine, Florida being the first) – and contains the oldest church (San Miguel Chapel, 1610) as well as the oldest government building in the country (The Palace of the Governors, 1610 – 1612). In 1821, after years of conflict between the native Pueblo Americans and the colonial Spanish, Mexico won its independence from Spain and the city became the capital of the Mexican territory of Santa Fe de Nuevo México. Shortly thereafter William Becknell opened the 1,000 mile-long Santa Fe Trail, which brought hundreds of new settlers to the area. In 1846, during the beginnings of the Mexican American War, General, Stephen Watts Kearny, captured the city and raised the American flag over the Town Plaza. At the conclusion of that conflict Mexico ceded the territories of New Mexico and California to the United States in the Treaty of Guadalupe Hidalgo. When New Mexico was granted American statehood in 1912 Santa Fe, with a population of 5,000, remained its capitol city. The 1900s also saw the start of the urban planning movement as the ideas of utopian visionaries, infrastructure engineers, and local governments were combined to create blueprints for developing towns and cities in order to mitigate the consequences of the industrial age.. Faced with their new status as a state capitol Santa Fe’s city leaders saw the need for such a strategic document. 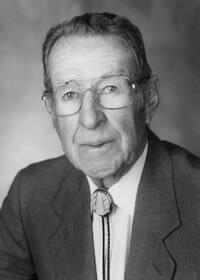 Unfortunately the city could not afford to hire a professional planner, so Mayor Arthur Seligman appointed local businessman Harry H. Dorman plus archeologists Edgar Lee Hewett and Sylvanus Morley of the Museum of New Mexico/School of American Archeology who had studied Anasazi ruins in the area, to develop the plan. The trio sent out numerous letters seeking advice from nationally known experts such as city planner John Nolan and landscape architect Frederick Law Olmstead, Jr. – received a great number of helpful replies – and created the town’s first formal development plan, which they based upon the principals of historic preservation, and the philosophy of the “City Beautiful” movement which believed that introducing grandeur and beautification in cities would promote a harmonious social order, increase the quality of life, and create a more moral citizenry. Similarly, in our home town of Wethersfield, Connecticut the beginning of the 20th century prompted the town’s Planning Commission to issue its own “Plan of A Residence Suburb” prepared in 1928 by Herbert S. Swan, City Planner. In the first half of the twentieth century many men were involved in the transition of Wethersfield from “a mere village of scattered houses with its surrounding farms into a fair-sized residential suburb.” The best known and most successful were Albert G. Hubbard and Harrison A. Bosworth who between them built over 100 houses in what is now the town’s historic district and many more throughout the remainder of town – building “on spec”, and establishing substantial portions of many of today’s neighborhoods. Place at $120,774” (over $1.6 million in 2016). 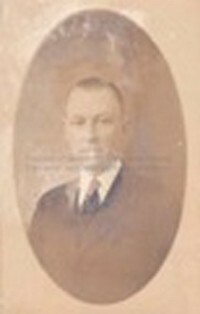 Albert G. Hubbard was born in Southington, Connecticut in 1886 and moved to Wethersfield at the age of twenty-one. Working as a carpenter he built at least two houses in the neighboring town of Hartford but left that job in 1910 and bought four lots on Wolcott Hill Road in Wethersfield with the intention of developing them. He sold his first Wethersfield house to James Goodrich for $2,600.and in the years after 1910 Hubbard designed and built over 200 homes throughout town offering sixty-seven different plans to choose from. Priced between $4,500 and $20,000 ($54,000 to $240,000 in 2016), “Hubbard Houses” were built to meet the needs of the modern suburban family. Each street in a Hubbard community was marked with a distinctive street sign depicting a charming house and tree. These signs have been recreated in some parts of the town’s Historic District. Some streets were also marked with large stone pillars topped by flowered urns. And Hubbard also worked to create a sense of community in his housing developments. “entertainments, dances, suppers, picnics, masquerade parties and other jollifications.” The town’s annual report for that year asked, “Can you imagine a community anywhere else like this?” The club was active for many years and, in addition to the celebrations, held an annual “Olla Podrida” variety show to raise money for charitable activities. For his own home A. G. Hubbard chose the historic Silas W. Robbins house at 185 Broad Street – built in 1873 in the three-story, “Second Empire” style by Silas Robbins, an owner of the seed business Johnson, Robbins and Co. Hubbard divided the estate’s extensive grounds of elms, maple trees, evergreens and flowers and created Robbinswood Drive. Albert and Isabel had three children – Lucille, Lawrence and Mabelle who was killed by an automobile at the age of eight. The house was heavily damaged by fire in 1996. It has been restored and is now a bed and breakfast. While none of Albert Hubbard’s sixty-seven house plans was even remotely an attempt to recreate these original Wethersfield houses – Santa Fe’s chosen adobe style architecture is very much adopted from the Native American dwellings that the Spanish saw for the first time when they arrived in the Rio Grande Valley in the 16th century. Like most Spanish towns Santa Fe is organized around a central plaza, with the main church (St. Francis Cathedral), Palace of the Governors, and (in its earlier days) the residences of the main civil and religious officials, and most important residents (“vecinos”) of the town. Streets radiate out from the square at right angles in a pattern that would be extended as the settlement grew. A 1930 competition for the redesign of the plaza, sponsored by Cyrus McCormick Jr. of Chicago was won by architect John Gaw Meem. Meem’s redesign added Spanish-style portals on the east and west sides and redid all the building facades in either the approved Spanish-Pueblo or Territorial Revival style (the latter a hybrid of Greek Revival and adobe). 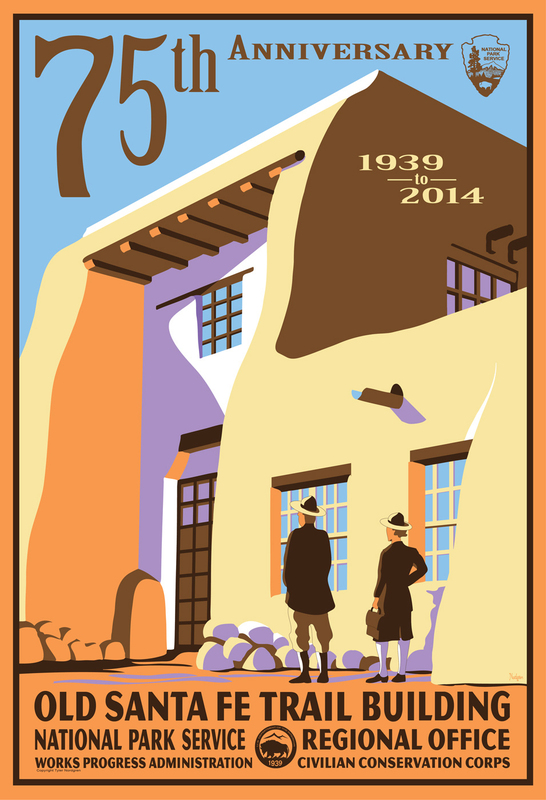 The 1940 census showed Santa Fe’s population at 20,325 – almost three times that of the 1912 Plan – partially due to an increase in the number of jobs in government and occupations created by increasing automobile usage. The housing for this increased population however remained clustered around the center of town. The “1999 General Plan” of Santa Fe reported, “As late as the mid-1940s, urban areas were confined to a oval area measuring a mile by three-quarters of a mile. The farthest residence was a ten-minute walk from the Plaza.” But an 80-acre parcel of land, located 2.5 miles west of the city center was the site of two less traditional housing complexes. From the mid 1930s to 1942 the property was the location of a camp for the Civilian Conservation Corps (CCC) – a federal program established by President Franklin Roosevelt in 1933 to relieve unemployment and promote environmental conservation. Santa Fe’s CCC Company 833 Corpsmen worked on various projects in Bandelier National Park – as well as rodent control at Glorista Mesa; emergency road repair at East Senorita Canyon; and fence, erosion control, road maintenance at Canada de los Alamo. They also constructed the Old Santa Fe Trail Building near the intersection of Camino del Monte Sol and the Old Santa Fe Trail – “The Single Most Recognizable CCC Contribution to the National Park Service” according to “New Mexico: A History”, by Joseph P. Sanchez, Robert L. Spude, and Arthur R. Gomez. After the start of World War II the CCC property was converted to the Santa Fe Japanese Internment Camp where between 1942 and 1946 as many as 2,100 Japanese at a time were imprisoned. In addition to those whose only offense was their ethnicity there were also 866 "renunciants," Japanese American who had explicitly given up their U.S. citizenship, and 313 Japanese Americans designated as "troublemakers" at other internment camps. A small riot occurred in March 1945 when officials transferred some of the leading pro-Japanese inmates to another site. German and Italian nationals were also held there, and over the five years more than 4,500 men passed through the facility. And many of them were the work of University of New Mexico graduate and WWII U.S. Navy Veteran Allen Stamm, who built almost 2,800 homes in the Santa Fe area between 1939 and 1980. The early models of his houses had two bedrooms, one bath, living room, kitchen, hardwood floors, vigas, kiva fireplaces, nichos and other traditional touches, superlative workmanship, one-car garage, a walled back yard – with an open front yard because Stamm (like A.G. Hubbard) wanted the people living in his houses to know each other. They varied in price from $3,800 to $4,500 ($64,000 - $76,000 in 2016), with a $300 down payment and $40 monthly mortgage – within the price range of ordinary Santa Feans. Later styles were priced at a still modest $10,000 to $20,000. Racial Covenants were a common part of housing deeds from the 1920s through the 1960s (including in Santa Fe)– with language such as “No person of African or Oriental race shall use or occupy any building lot” or occupancy is prohibited by “any race but the white race” – alongside prohibitions on “trailers and tents” and “noxious or offensive activities.” Interestingly “whites only” provisions were not applied against Hispanics in Santa Fe, possibly because Hispanic is considered ethnic rather than racial. Such covenants were actually a requirement for some Federal Housing Administration (FHA) funding. And Santa Fe subdivisions such as The Tano Addition (built by John Gaw Meem), The Zia Addition (Robert McKee) and La Cuma Addition (School of American Research), built in 1940s contained these restrictions – as well as two of Allen Stamm’s developments Casa Alegre and Casa Manana. Nonetheless, Stamm’s business partner from 1953, Lee Brown remembers, Stamm only once mentioning the issue of race. In the early 1960s an African-American woman was house hunting in Santa Fe and there was some confusion in the Stamm organization as to how to handle her, given the existence of these covenants. “Give them whatever they want; show them whatever they want,” Brown recalls Stamm saying. Over the years, as families grew, garages were converted to bedrooms, rooms were added on, and in some cases, second stories were added. Like Albert Hubbard whose eight-year old daughter was killed by an automobile, Allen Stamm suffered similar anguish when his nine-year-old daughter, Linda, was kidnapped November 10, 1950. The kidnapper, Dr. Nancy DuVal Campbell – a well-respected, 43-year old Santa Fe gynecologist and Phi Beta Kappa graduate of Yale University – was captured by FBI and local police the following night as she attempted to pick up the ransom money and Linda was safely returned to the Stamms. Dr. Campbell seemed an unlikely criminal but the prosecution argued that she had been motivated by a need to repay several large debts. The jury rejected her insanity defense, and she was sentenced to 10 – 15 years in prison. Released in 1957 because of good behavior and “gain time”, she was later pardoned by New Mexico Governor “Lonesome” Dave Cargo in 1968 and died in Santa Fe in 1981. Linda Stamm was sent to Arizona with to live with relatives, but later returned to Santa Fe as a sculptor under her married name of Strong. In 1979 she created a sculpture showing a group of children engaged in a water pistol fight, which was installed in Santa Fe’s Riverside Park. But after the 1999 shootings at Colorado’s Columbine High School many citizens wrote letters to the editor of the local Santa Fe New Mexican newspaper protesting the portrayal of gun-wielding children and she provided a new work of art in which water hoses replaced the pistols. 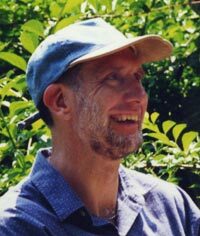 “No other Santa Fe builder in the modern era contributed as much as Allen Stamm did to the bedrock concept of ‘home.’ A visionary as well as a man of immense integrity, character, compassion and humanity, he built thousands of high-quality—but not high-cost—houses all across the face of this community. He worked always to make them livable, durable, handsome, architecturally sensitive, friendly and, perhaps most important, affordable for ordinary Santa Feans with average incomes. But that is not always the way it is. Albert Hubbard was a successful builder in part because he was a good salesman – but mostly because his houses lived up to his hype. So I suspect it was with Allen Stamm also. The above quote from a Hubbard sales brochure reflects the hyperbole of a practiced marketer as well the paternalistic gender perspective of that era. Nonetheless it is, in essence, largely true. And I would add that the resulting sense of self-worth and satisfaction may allow, or maybe even cause, that man – or that woman – to contribute to the history of their community or of the larger world. That is what infrastructures do – and that is why those who create them have a place in that history.